I’m looking forward to a fun week! Thursday, I’ll spend the day with students at Boston Collegiate Charter School who have recently finished reading A Girl Called Problem. Visiting with students who have already read the book is always so rewarding. Thanks to Ms. JnBaptiste, teacher extraordinaire, for organizing the visit! 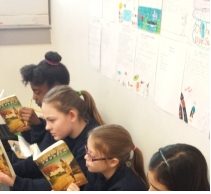 Photo taken by Ms. JnBaptiste of some of her students reading A Girl Called Problem. On Friday, I’ll head north to Cape Elizabeth Middle School to visit with students who have been studying Africa. I’m looking forward to sharing pictures and stories from Tanzania to make the continent (or at least the Tanzanian portion of Africa) come alive for these kids. Saturday, I’m honored to join 70 other authors, including Ashley Bryan, Chris Van Dussen, and Tanya Lee Stone, at the Cape Author Fest. If you are in the Portland, ME, area, come join us between 10am-2pm on Saturday! 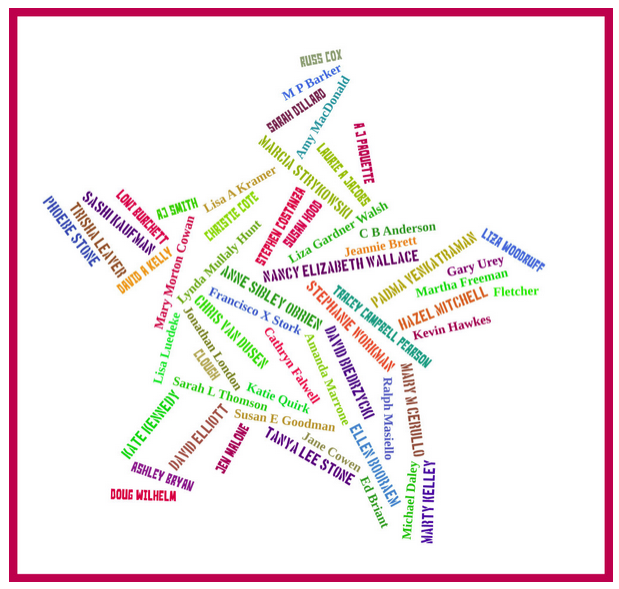 Authors who will be at the Cape Author Fest. This entry was posted in A Girl Called Problem and tagged Ashley Bryan, Boston Collegiate Charter School, Cape Author Fest, Cape Celebrates Literacy, Cape Elizabeth, Cape Elizabeth Middle School, Chris Van Dussen, Tanya Lee Stone. Bookmark the permalink.